MUFON sighting numbers have been suffering as well. In 2016 their average monthly sightings were between 350 and 400 per month. In 2017 sighting numbers fell between 275 and 300 reports per month. In 2018 the sighting numbers started at about 375 and bounced between 250 and 300 per month, as shown on the chart. Since the June article, I have had a great deal of social media commentary regarding this downward trend. 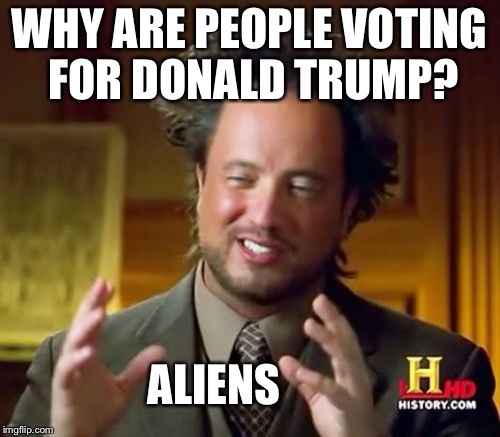 The comments range from The aliens dont like us, People are apathetic about reporting, and Perhaps theres something astronomically going on with where the aliens are from. One comment suggested that the aliens are afraid of President Trumps proposed Space Force. Oh, thank God they’re going away. Now we can all get back to normal. Al the crazies are watching Trump now, not the skies. Trump either scared them all away or he had previously conspired with them to help alarm Hillary supporters and they arent needed, any more. The Russians are probably manipulating the UFO sightings data. Congress needs to investigate this. Yep, our way station’s outlived it’s usefulness... too many progressives. They’re probably massing on the edge of the solar system for an attack on earth. The chemtrails finally got ‘em. I heard on “Coast to Coast” the other morning that UFOs (disguised as meteors) are giving us a pass now that Trump is POTUS. The hit to the extraterrestrial tourism industry will not be seen until Q3 economic results. An ominous sign. The calm before the storm. lack of Sunspot activity. Sunspots typically go on an 11 year cycle. Earth’s upper atmosphere will contract a little, and this means space junk in very low Earth orbit will feel less atmospheric drag and stay in orbit longer, adding to the concentration of debris. The travel ban is working! Words out on the immigration ban!